The Pentagon will team up with Apple, Harvard, Boeing and others for the development of high-tech sensory gear that is flexible enough that people can wear it or it can be molded onto a jet’s exterior. The rapidly changing world of technologies has forced the Pentagon into seeking partnerships with private sector companies instead of developing technology itself, officials in defense say. This new technology has a goal of using printing technologies that are high tech to create electronics that are stretchable and that could become embedded with sensors as well as be worn by soldiers, said one defense official. In addition, ultimately the technology could be used on warplanes or ships for monitoring in real time of the structural integrity of the crafts. The government of the U.S. will contribute $75 million over a period of five years, while the companies who will be managed by the U.S. Air Force Research Lab will put in another $90 million, with governments adding more to bring the total to $171 million. FlexTech Alliance is made up of 162 businesses, universities and other organizations from Apple to Boeing to Harvard, to Kalamazoo Valley Community College. 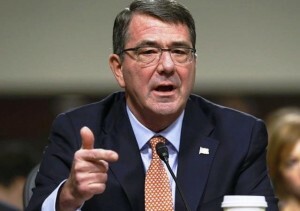 Ashton Carter the Defense Secretary was due to announce the award during a Friday speech at the Moffett Federal Airfields, which the Ames Research Center form NASA operates near Mountainview in the heart of Silicon Valley. Four months ago, Carter made a visit to California to create an office to outreach and forge ties with the local tech community. He is scheduled to visit that office on Friday. The chief of defense is also planning to meet with the Defense Science Board to be briefed on a study the group is doing on the level of autonomy that robots and drones in the military should have going forward. The initial experience the Pentagon has with these institutes was back in 2012 when it established one to aid in the developing of 3-D printing.